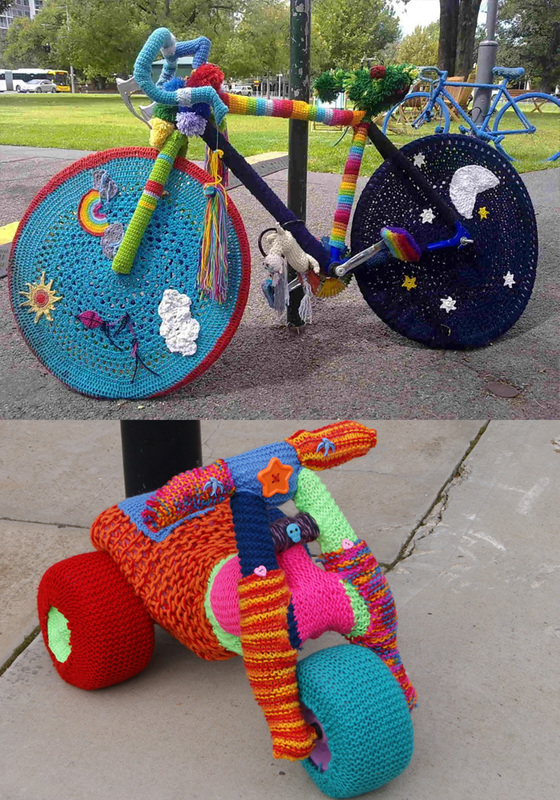 This entry was posted in Uncategorized and tagged art, book, books, craft, crochet, ebook, knitting, street art, yarn bomb bikes, yarn bombing on June 30, 2013 by yarnbomb. 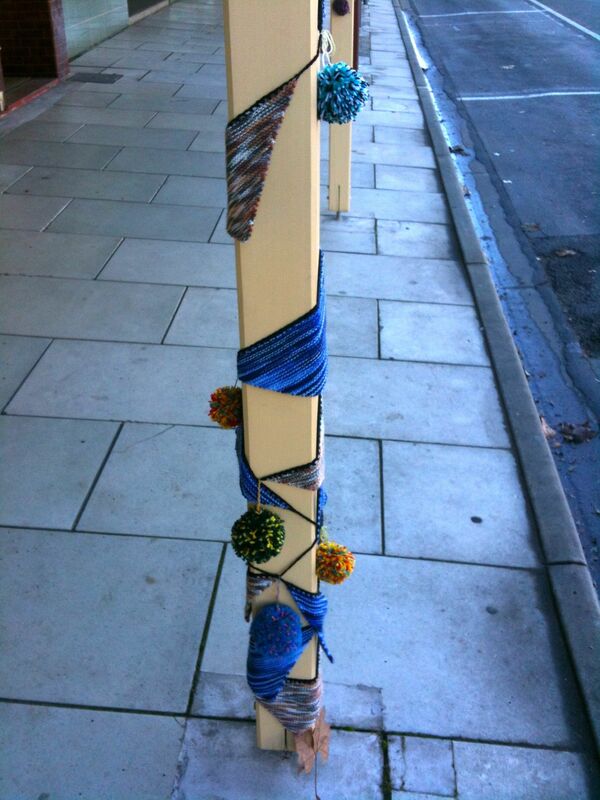 A woolly winter yarn bombing at dusk. 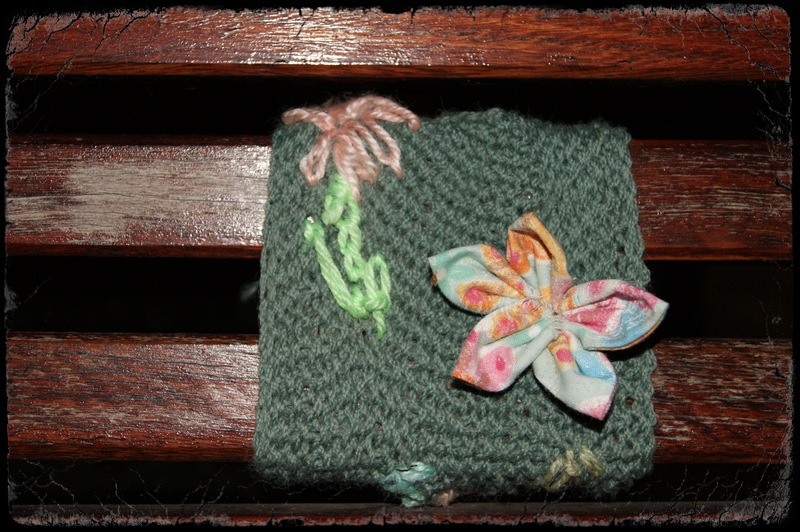 Night time close up of knitted yarn bomb on park bench. 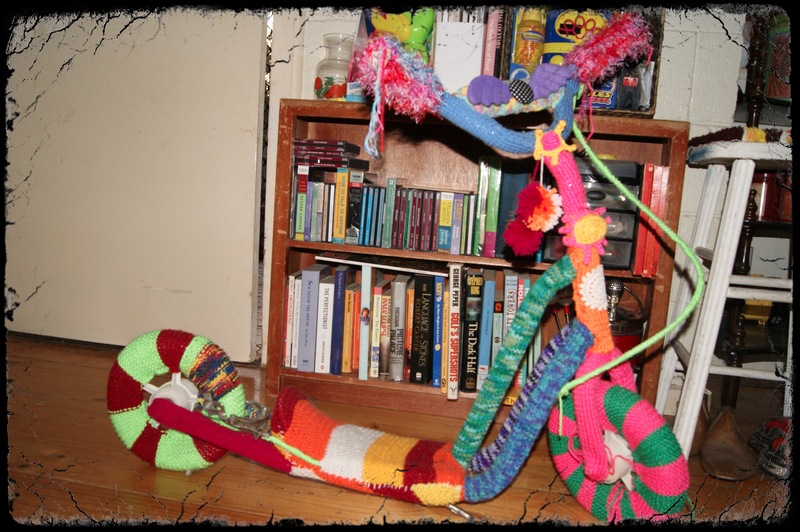 Yarn bombed scooter bike that lives in my living room. 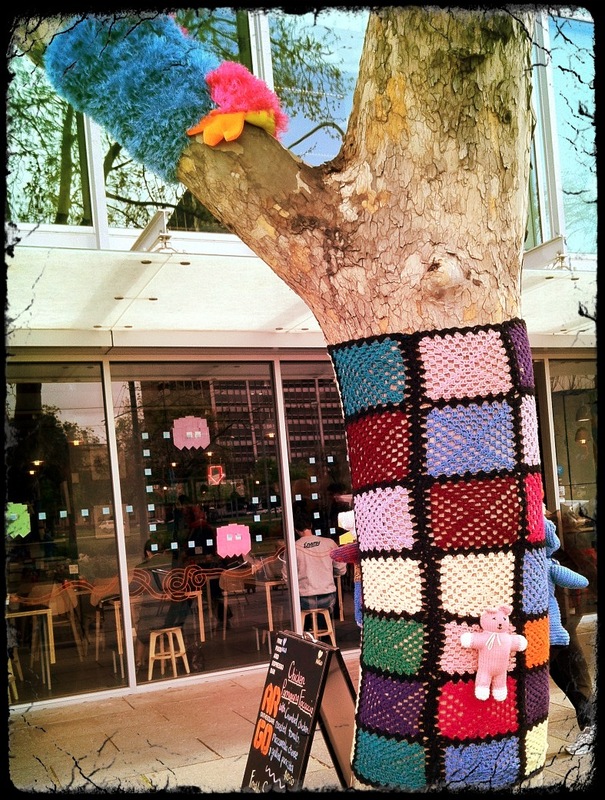 Crochet and teddy bear yarn bombed tree in Adelaide South Australia. 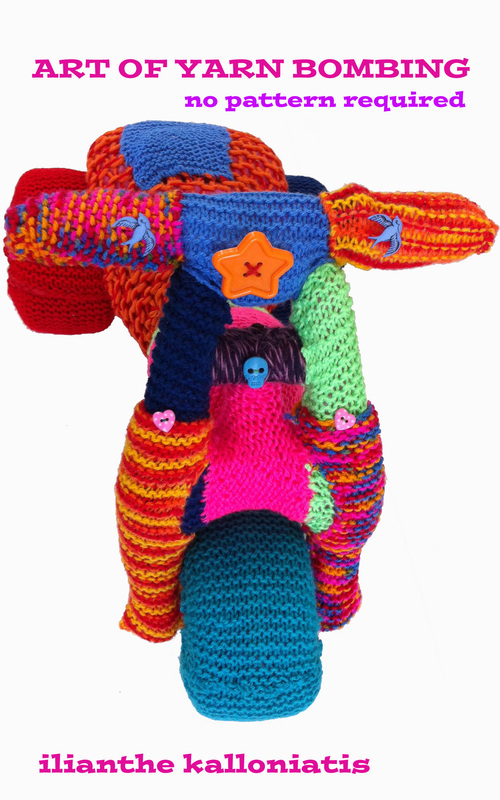 This entry was posted in Uncategorized and tagged crochet, knit, knitting, photography, yarn bomb, yarn bomb bike, yarn bombing on June 14, 2013 by yarnbomb. 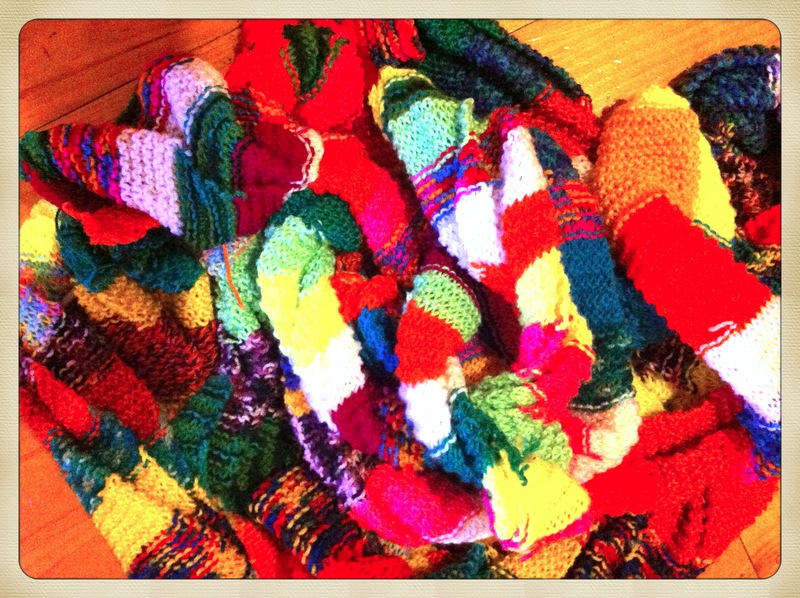 LONG LONG LONG SCARF. 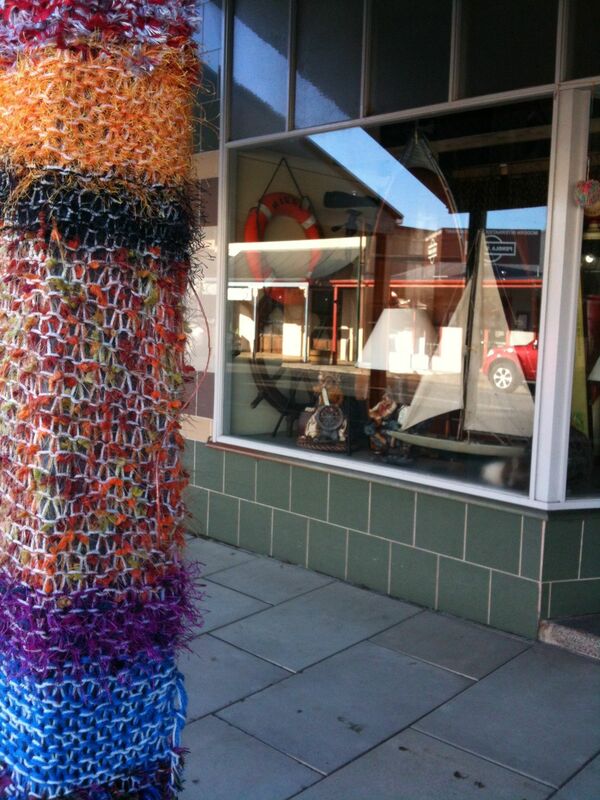 LOVE TO KNIT. I HAVE BEEN KNITTING THIS EXTRA LONG SCARF FOR A FEW MONTHS AND IT’S GOTTEN SO LONG THAT IT NO LONGER FITS IN MY KNITTING BAG. I HAVE NOT MEASURED IT. 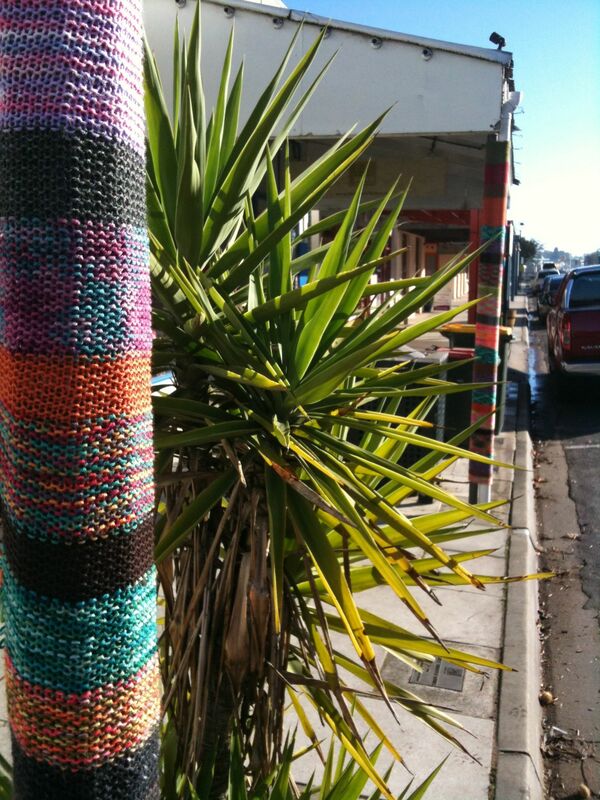 I’M GOING TO KEEP ON KNITTING UNTIL IT GETS TOO HEAVY AND BIG TO CARRY WITH ME TO MY CRAFT CLUB NIGHT. 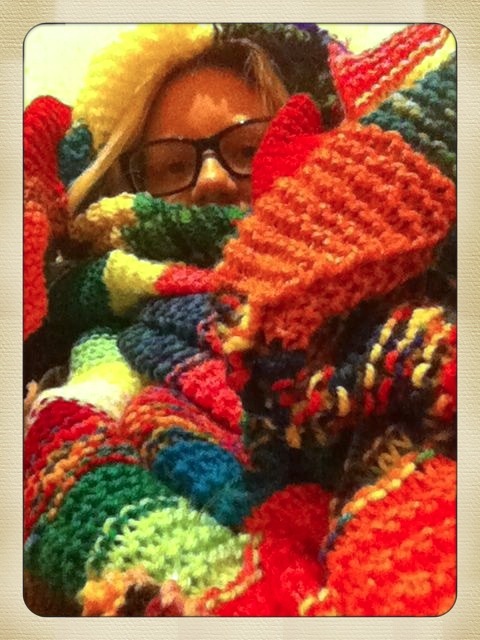 THIS SCARF HAS WITNESSED A LOT OF GOSSIP AND LIFE CHANGES WHILST I’VE BEEN KNITTING IT. 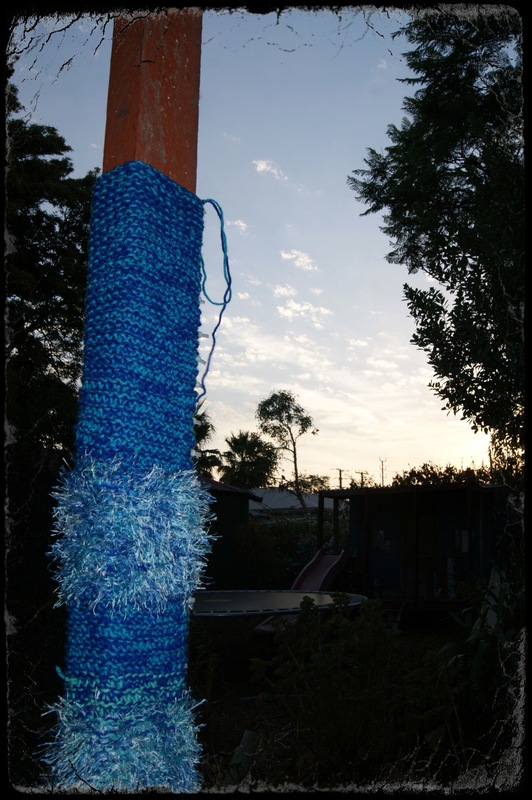 This entry was posted in Uncategorized and tagged craft, knit, knitting, photography, scarf, yarn on June 10, 2013 by yarnbomb.